The technique of ikat dyeing starts before the actual weaving begins. Certain yarn on the warp is wrapped up with thread or string. When the dye applied to the warp, the wrapped up part form a resist to the dye. Threads are then removed, leaving an area of undyed yarn. It is then ready to be woven into cloth. 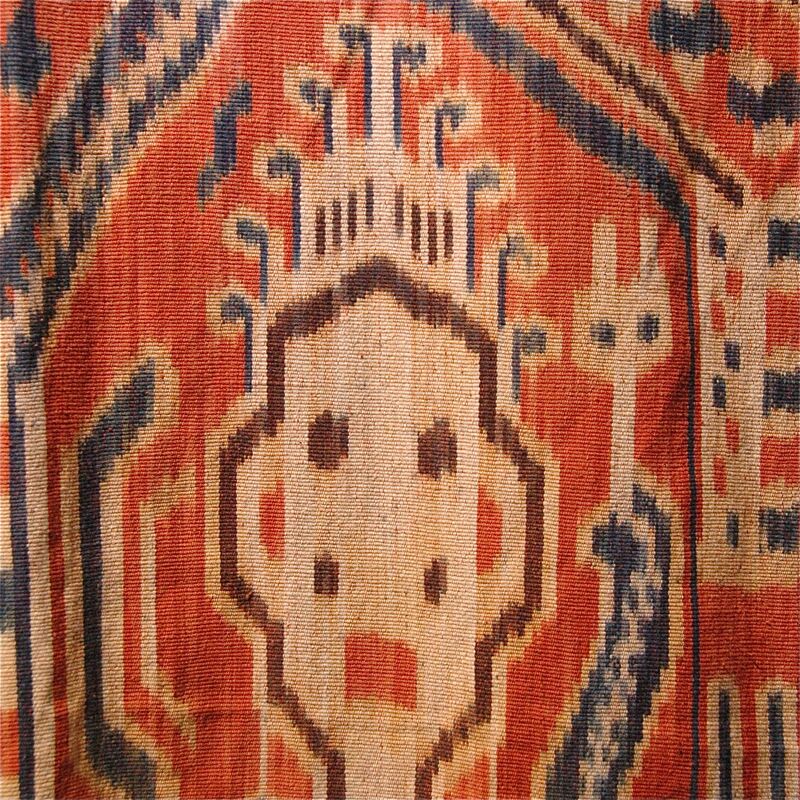 Because of the unevenness of the warp wrapping, the woven result has a characteristic ikat effect. Ikat weaving is particularly laborious as the pattern is often pictorial, the warp has to be loaded on the weaving loom before carefully tying up the pattern. After dying the warp has to be loaded but on the loom at the same location before weaving. Indonesia ikat are a precious and sacred fabric use in ceremony. Samples of ikats are shown at the Mountain Folkcraft shop in our Something New Something Old exhibition with Soil.